Any suggestion about the composition of these lists is welcome. 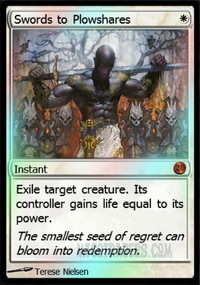 My current approach is to scratch the current banned lists and focus on nontribal power combos only (of course the cards banned in Regular will still be banned); this means Swords to Plowshares and Path to Exile will be back in the subformat. I don't see a reason why Pure should be Legacy Light. Do you? 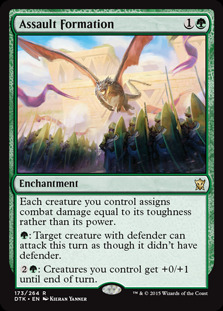 (We can occasionally do Pure Modern Tribal Wars, though). 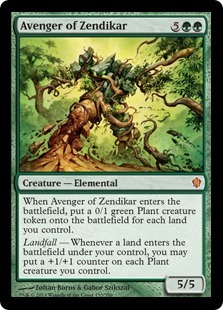 Plant has always been a minor terror in Underdog, since when NemesisParadigm used it as a surrogate for Wall-Drazi, but it's been a year since its last win. It's one of those tribes that wouldn't survive a transfer into the Major League, because then you would just play Wall. 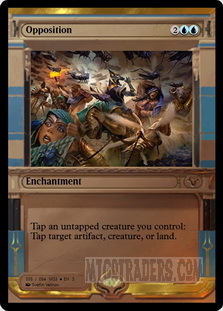 The latest success by BoozeMongoose is an Opposition deck with a Natural Order package as finisher, and Assault Formation as plan B. 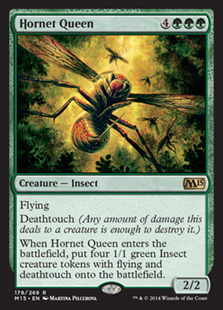 The NO targets are Dragonlord Atarka , Avenger of Zendikar and Hornet Queen . 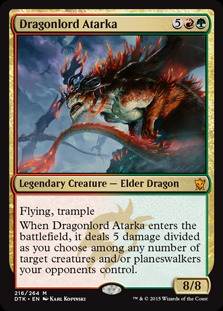 I wonder if this kind of build would fall out of favor if Dragonlord Atarka were to be restricted to Dragon deck only, which is something I always plan to do. 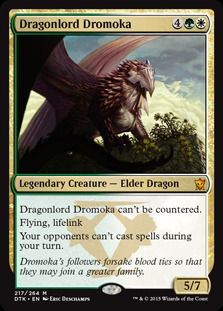 Maybe we would see Dragonlord Dromoka instead? 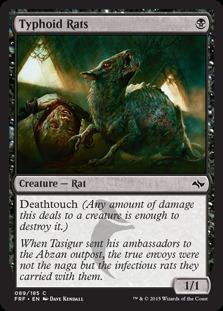 This is basically one of the Rat decks from the Invitational. I didn't feature any of those there, so I do it now, as piloted by 2017 Player of the Year, Golden_Lin. Another monoblack deck, soon-to-be-repopulated Processor by lovetapsmtg. Was there even a particular, functional reason for the Processor tribe to be formally created, rather than being introduced as a virtual, non-mechanical subtribe? Because I don't think there was. 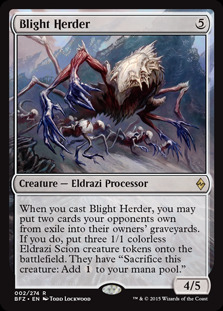 There's nothing in the game that references the Processor subtype, and it's a subtype only Eldrazi could have. 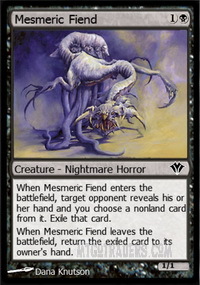 Anyway, they nicely combo with the Mesmeric Fiend brand of temporary exilers, turning them into proper hand-disruptors; and they appreciate to always have stuff from exile to tap into, which is where the mass graveyard exilers come in. The New Kids on the Block Award: When a new tribe is introduced in the game, or reaches enough members to be played as a proper tribe (i.e. 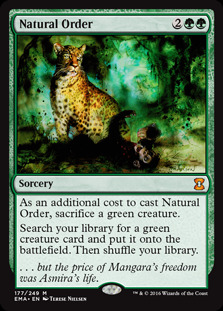 at least 3 members, so you can build a deck that features 4 copies of each plus 8 Changeling creatures), the first player to score a match win with it will get a 3-tix certificate from MTGO Traders. You'll need a hard win, not a BYE or a win by no-show of your opponent. The tribes currently eligible for the award are Camel, Hippo, Hyena, Monkey. The Repopulation Award: Some tribes get played only once (to get the New Kids on the Block Award) and then forgotten. Never again! Register one of the following tribes three times in different events, then play all rounds of those events with them, and you'll get a 3-tix certificate from MTGO Traders. The list of these tribes, established May 5, 2017, is as follows: Antelope, Atog, Crocodile, Goat, Homarid, Incarnation, Leech, Licid, Metathran, Monger, Nightstalker, Octopus, Orgg, Ouphe, Processor, Rabbit, Salamander, Slith. Already cleared: Jackal, Manticore, Moonfolk, Ox, Siren. Check out the full Tribal Calendar for 2018!